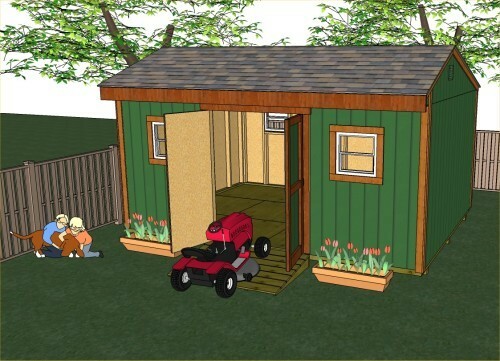 Have fun building your own shed with these inexpensive storage shed plans. They're great for building garden sheds, playhouses, tiny houses, cottages, chicken coops and more! FREE Cupola Plan With Your Purchase! All my storage shed plans are instantly downloadable in 8.5"x11" pdf file format or 11"x17" pdf format immediately upon purchase using the paypal buttons located with the additional info for each plan. All purchases include email support from me, John the shedmaster here at this website, concerning 'anything' or any question you may have about the plans or construction issues. Every plan has been written and developed by me. I have expressly tried to make them as easy and comprehensive as possible for you to understand. All plans come with building guides, loads of illustrations and pictures, and materials list. I am not an architect or engineer, but I am a professional builder and remodeler and I have extensive knowledge about developing easy to understand plans and incorporating everything I have learned over the last 25 years of construction experience into each and every plan I sell. If you aren't happy with your purchase, I will gladly issue you a full refund of your purchase price. 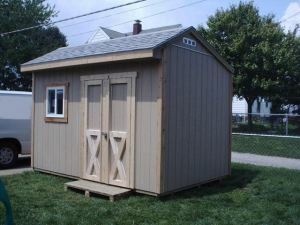 Here's a roomy 12x16 gable shed that's super easy to build and will give you lots of storage space. These shed building plans will help you build a shed that is 12' wide x 16' long x 11' 10" high, all built on a sturdy all treated lumber floor that can be built on wooden piers, concrete blocks, gravel, dirt, etc. 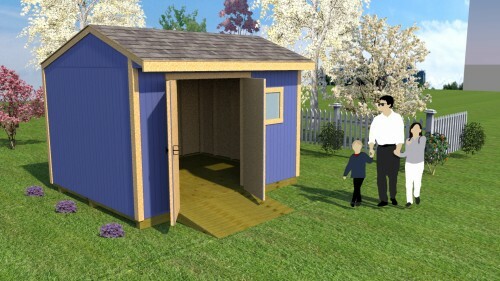 More information about these 12x16 gable shed plans. 12' wide x 16' long gable shed with roll up shed door. This shed has a 6' wide by 7' tall roll up shed door. Also has a side entry door. Shed Doors Direct is a supplier of roll up shed doors. The roof pitch is a 6/12 so you will get plenty of storage space in the attic also. Total height on this shed is 12' 5". Plans are in pdf format, and the download link is emailed to you immediately upon purchase through paypal. More details about this 12x16 gable shed with roll up garage door. and a materials list that is broken down by each project construction phase. You will also receive with your purchase full email support from me should you have any questions about the plans or how to do any of the shed building. More details about this 10x10 gable shed. 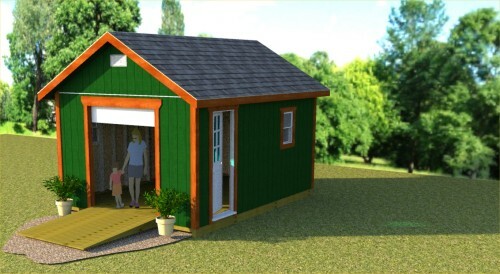 Not only is this shed easy to build, it will provide you with lots of storage. The double shed doors are 5' wide. The floor is built out of treated 2"x4" floor joists spaced 12" on center and sheeted with 5/8" treated plywood for a really durable and sturdy shed floor that will last a long time. 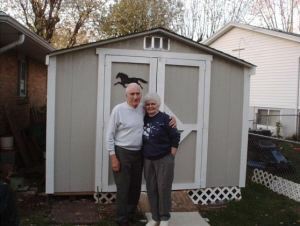 See more details about this gable shed. This saltbox shed is really a fun shed to build, looks great, and can be used for a garden shed, tool shed or children's playhouse. The 4' doors are built and framed right into the front wall for ease of construction. See more details on this 12x8 saltbox. This 12'x10' saltbox shed has got to be one of my most favorite sheds to build. It's really neat looking because of the saltbox style roof that it has, but it also offers lots of storage space with its roomy 12' by 10' dimensions. This shed can be used for a garden shed (my favorite! ), utility shed, studio, or just plain getting stuff out of the garage shed. 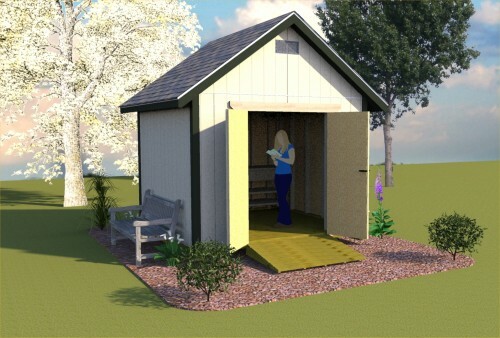 More information on these 12x10 saltbox storage shed plans. This cute little storage shed is a saltbox style shed with a 3' rounded top entry door and a 22"x28" side window. The siding shown here is the lap style siding but you can side with any siding you prefer. You'll have fun using these plans and if you have any problems along the way all you have to do is email me with any questions you might have. See more about the details of this shed. 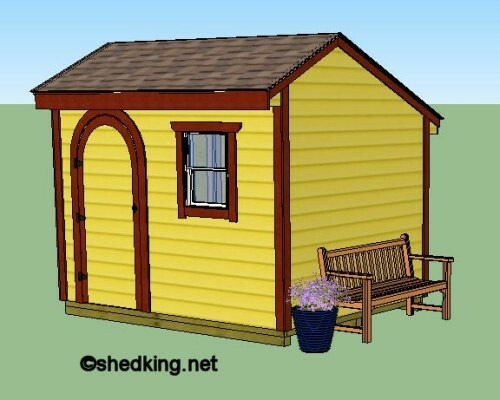 Build this neat saltbox style shed with 5' double doors, 2 windows up front and 2 in the back. Plans are only $6.95 and downloadable immediately in pdf format. Learn more about this shed. 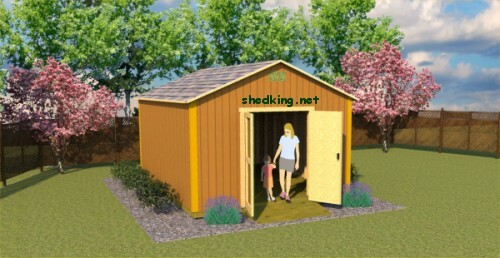 To see all the shed plans I have to offer here at shedking please click here.